As spring turns to summer, my thoughts turn to the unwieldy beast at the end of my garden. I speak, of course, of my greenhouse. 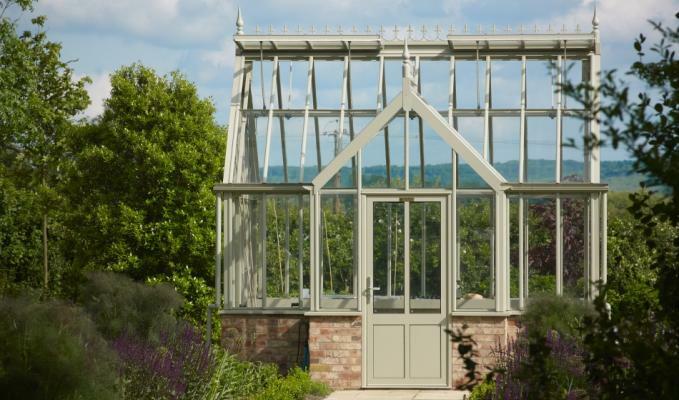 © Griffin Glasshouses Just the perfect sort of greenhouse for a horticulture student, non? And, at 15ft by 12ft, it is taking up almost a third of my garden. Luckily, there is plenty of inspiration out there. Here are a few of my favourite dilapidated yet lovely garden buildings. Because, hey, everyone loves aspirational gardening, don’t they? And never mind that this shed will soon collapse under the weight of the tree branch; it’s light, airy and full of stunning old gardening related props. And plants, of course. 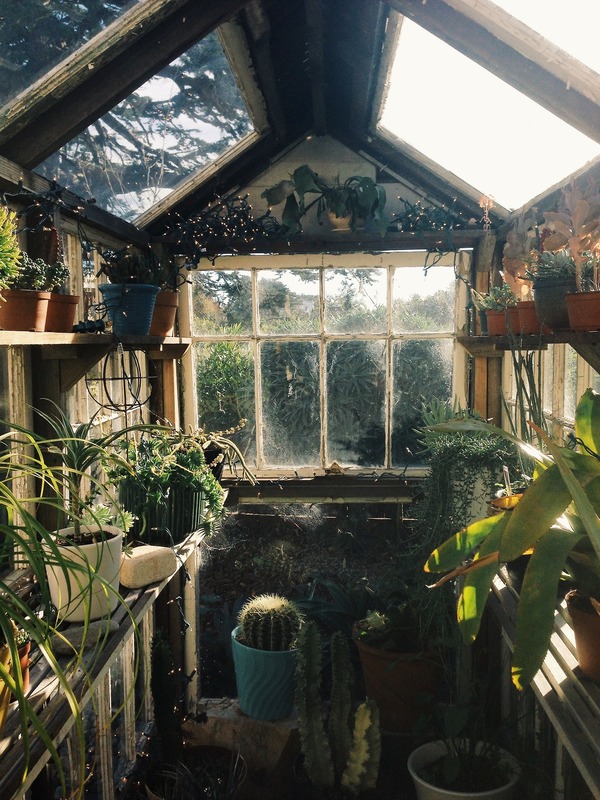 Plants are a must in the greenhouse. 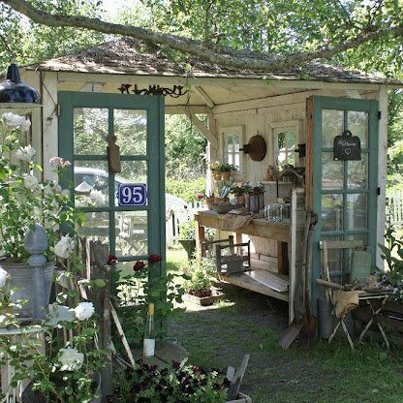 You can see more of this amazing summerhouse at Remodelista – the inside is, if anything, even nicer! 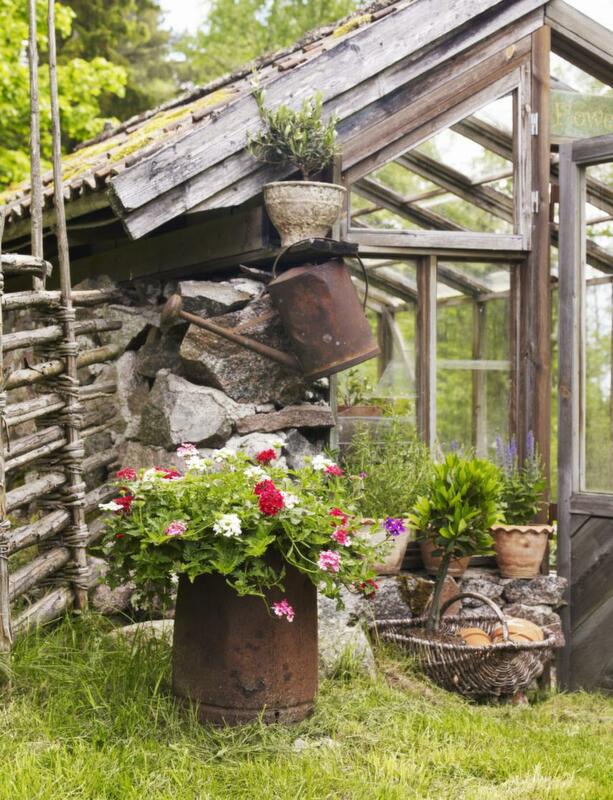 I’m planning on creating some similar artful little garden vignettes around the greenhouse over this summer, so I’ll share some photos of the results soon. Watch this (heavily styled) space! 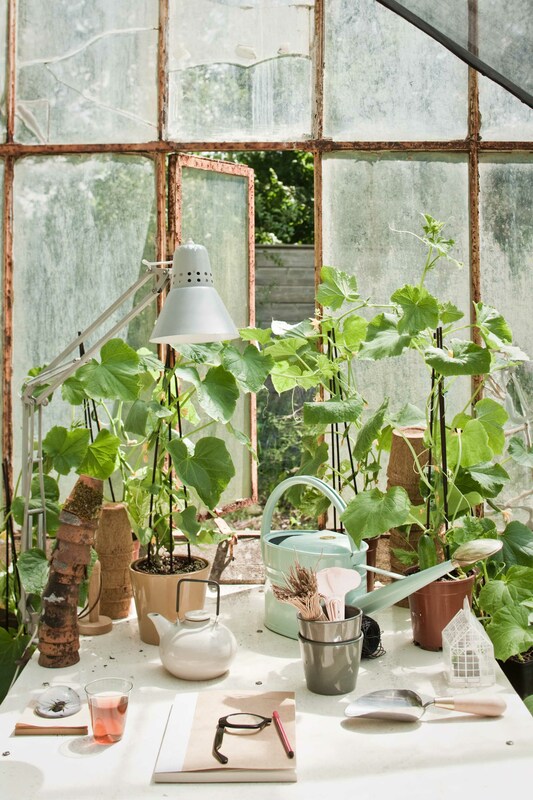 At least your greenhouse is in your garden! I realise that you might think that this is a basic requirement – however ours is in our kitchen (where I trip over it every day)! 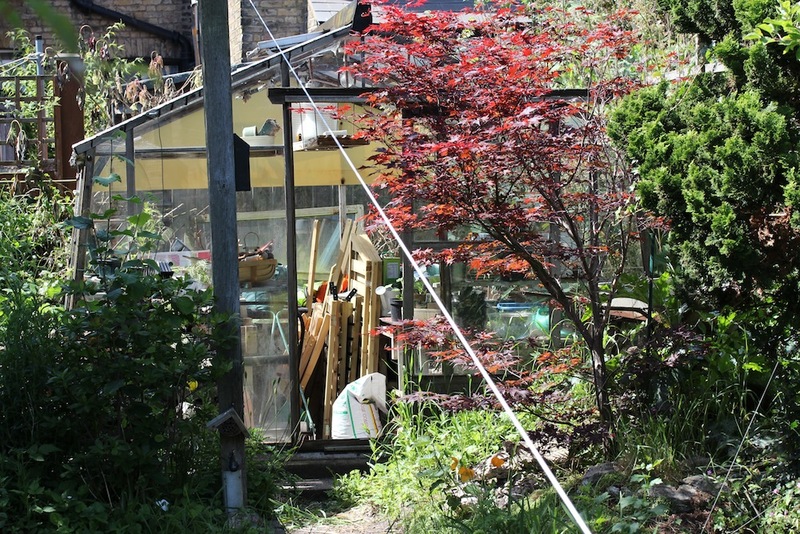 We were given a new greenhouse for a wedding present in 2012 (all our friends and family clubbed together). 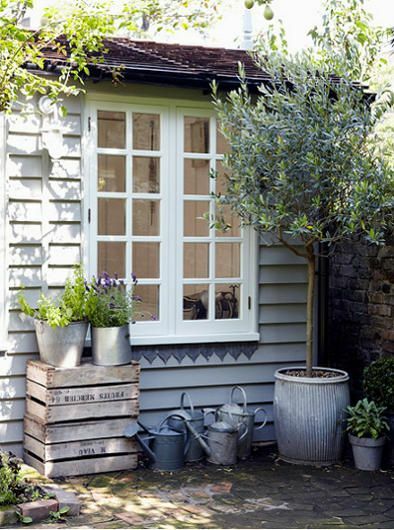 It was delivered in two large boxes and several panes of glass – hubby let them leave the glass in the back garden (propped against the shed and on the table) but wanted to keep the boxes dry inside temporarily whilst he built a suitable base. Initially he wanted to lay them down the stairs but I felt that this was asking for trouble (besides I couldn’t find the life insurance policy). I reluctantly agreed to have them in the kitchen just for two weeks – but that was two years ago! The base was measured out and wooden shuttering built for the concrete to be poured then we ran out of money, so we still have an internal greenhouse! I ought to say that we only have a very small two bed house with a galley style kitchen and it’s now impossible to pass anyone in the kitchen without climbing over boxes. Nor can I get in half of the cupboards as the boxes stop the doors from opening. I strongly recommend that you stick with the one that you’ve got outside! Ha ha ha, that is officially the best greenhouse story I have ever heard! That definitely makes my greenhouse seem very impressive indeed — in the right place and *fully* assembled already! Oh my such fab visions! I *may* have gone on a repining spree from your board a moment ago in a moment of greenhouse-frenzy!